Dr. Stephen Craig spoke today at the National Library of Medicine on “Sir John Pringle, MD, Early Scottish Enlightenment Thought & the Origins of Modern Military Medicine.” Dr. Craig is an Assistant Professor at the Uniformed Services University of the Health Sciences, Department of Military and Emergency Medicine. Circulating Now interviewed him about his work. Stephen Craig: I was raised in Ohio and now live in Gaithersburg, MD, but 27 years as an Army Medical Officer gave me the opportunity to live in 7 other states and one foreign country, so really I am from all over. I am an Assistant Professor teaching medical history at the Uniformed Services University of the Health Sciences (USUHS), Bethesda, MD. My daily routine consists of reading and researching—sometimes at NLM, NARA, or local universities and sometimes farther afield—material for classes and publishable manuscripts. CN: Can you tell us about the work you presented in your lecture, “Sir John Pringle, MD, Early Scottish Enlightenment Thought & the Origins of Modern Military Medicine” ? SC: My presentation on Sir John Pringle, MD originated in the military medical history lectures presented by Col. (ret.) 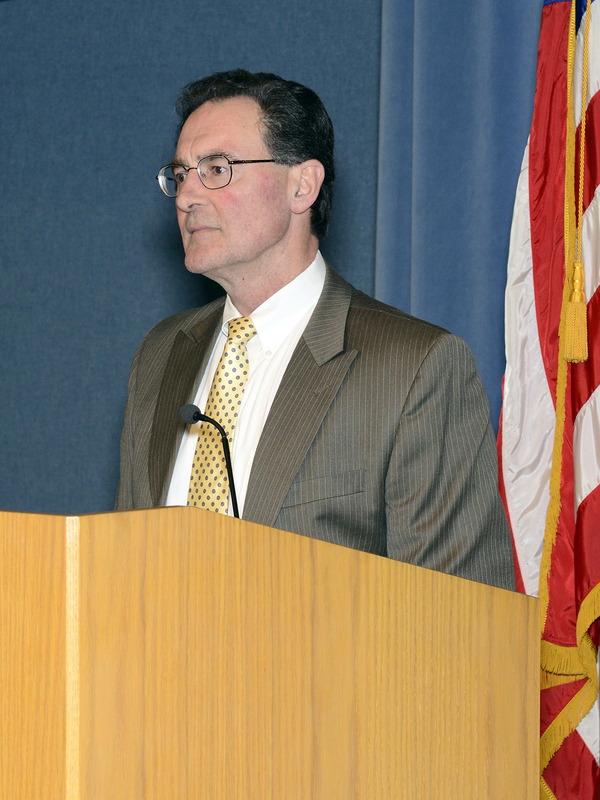 Robert J. T. Joy MC, USA at USUHS over the past 40 years. In those lectures Colonel Joy presented Pringle as a pioneer of modern military medical practice, who instructed not only his military medical colleagues, but line officers as well, a duty of medical officers today. I inherited Colonel Joy’s teaching responsibilities in 2004 and, upon my retirement from the Army in 2009, began serious research on the origins of military medicine and the medical staff officer. Dr. Pringle’s Observations on the Diseases of the Army (1752) seemed to be an excellent starting point for research. In answering why and how Pringle came to write this volume I have gone from the History Division at NLM to the University of Edinburgh, the Sibbald Library at the Royal College of Physicians of Edinburgh, and the British Library, read more philosophy than a 20th century physician should have to, and own a nearly complete library of modern studies on the Scottish Enlightenment. It was an exciting and educational journey. Pringle’s book is a reflection of his Scottish and Dutch education in the 1720s and the early Scottish Enlightenment in which he lived and practiced in Edinburgh during the 1730s. The origins of modern military medicine lie more in early Scottish Enlightenment thought than they do in medicine or the military. SC: My interest in the History of Medicine really took off during my attendance at the Army’s Tropical Medicine Course at the old Walter Reed Army Institute of Research in 1988. The halls of old building 40 echo the names of some of Army medicine’s great scientists: Sternberg, Vedder, Craig, Strong, and Reed. I began to read about these men and others. More importantly, I met Colonel Joy and his colleague, Dale Smith, Ph.D., who began a mentoring process that continues today. I am inspired to search out the unknowns of medical, particularly military medical, history, that is individuals like George M. Sternberg, Sir John Pringle, and Joseph Lovell, the Army’s first modern surgeon general (1818–1836). These men accomplished a tremendous amount of good, and not only in the military, in their lives. Yet they have been, by and large, neglected by historians. Gathering, synthesizing, and analyzing primary historical data to compose an original contribution to the literature is as exciting and inspirational as any work I can think of. In researching material for In the Interest of Truth, my recently published biography of Sternberg by the Borden Institute, I had a handful of ‘Wow!’ moments as the collected documentation virtually brought him to life before my eyes. SC: The NLM collections are wide ranging and comprehensive, and, therefore, always useful to whatever I begin to study. The collection that brings me to NLM most often—and I mean this with all sincerity—is your staff. I have been coming to the History Division for a quarter of a century, often with questions of how to proceed efficiently and effectively with my research and on one occasion not even knowing where to begin. The History Division staff has been, without exception, one of the most professional, sociable, and persistently helpful groups of individuals I have ever had the pleasure to work with. Dr. Craig’s presentation was part of our ongoing history of medicine lecture series, which promotes awareness and use of NLM and other historical collections for research, education, and public service in biomedicine, the social sciences, and the humanities.